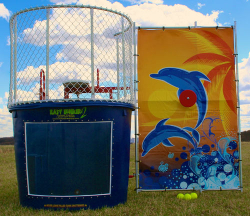 A dunk tank, also known as a dunking booth or dunking machine, is an attraction mainly used in funfairs, fundraisers, and personal parties. 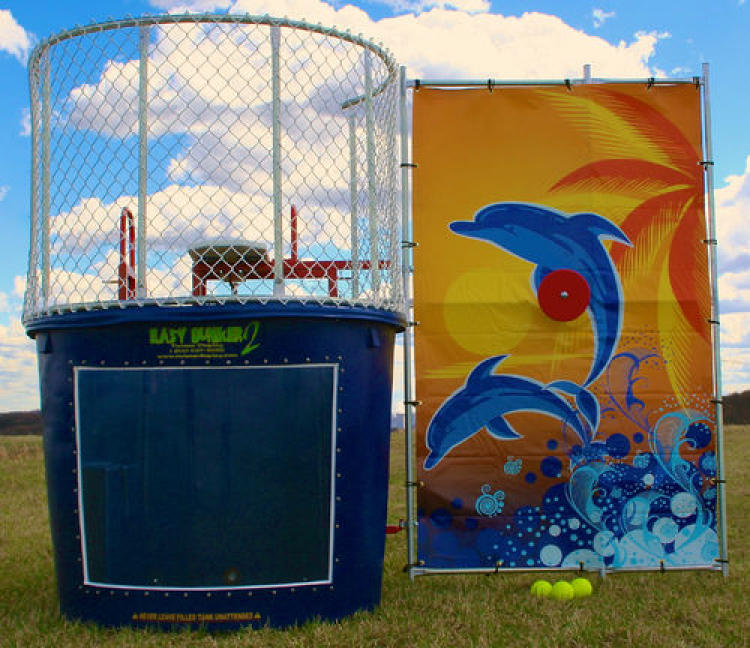 A dunk tank consists of a large tank of water, over which a volunteer is suspended while sitting on a collapsing seat. The game is played by a ball being thrown at a target attached to the tank which, if hit, causes the seat to collapse, “dunking” the person into the tank. This dunk tank has a window for viewing. The back drop is yellow! Price: $195.00 per 4 / hrs.$195.00 per 1 / hrs.